We’ve seen some pretty interesting exercise equipment (e.g. this, this and that), but none made me blush quite so much as the Shake Weight. 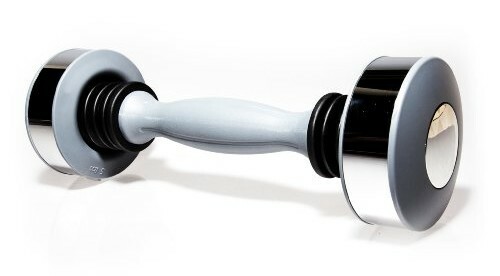 Using what the manufacturer calls dynamic inertia, the Shake Weight promises a “revolutionary new way to shape arms you’ll love” in just six minutes a day. I’m not sure how they came up with 6 minutes, but it sounds about right (wink, wink). Cost: $19.9USD (includes ‘workout’ DVD), buy one here.